I posted this on the main website but just in case you missed it here is the link. 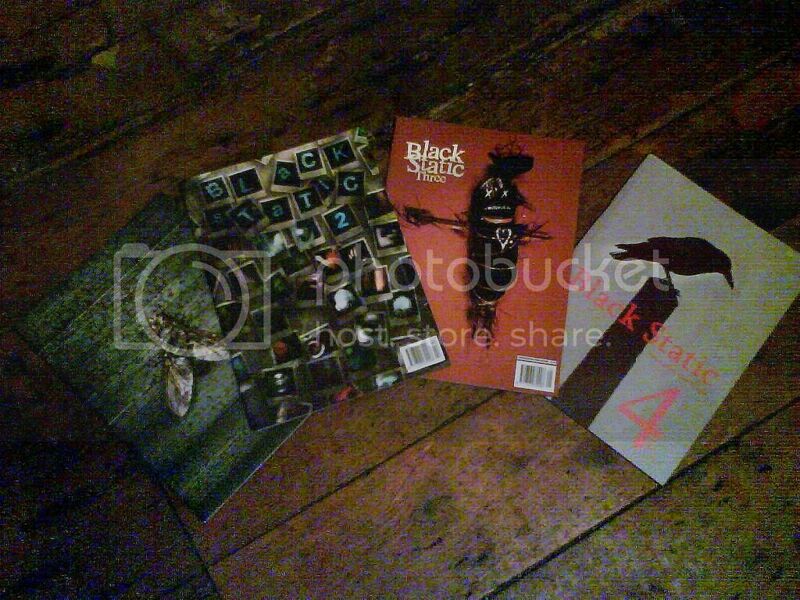 Some kind readers have responded to my plea so the the single issues of Black Static along with one of each of the others have gone but you can still buy issues #1, #2 & #3 along with others. A few TTA's went to Australia. Still a big burden for my back though. Thanks to those who have helped and think of all those extra heavy Interzones around #201 to #205. You wouldn't want to burden me with those would you? Thanks for that link, Roy. If I can scrape some pennies together I'll buy Black Static #1-4 as they are the only ones I don't have and I'm a bit obsessive about completing collections in that way. Good to hear Ilan and they may only have one BS #1 left now so skates on. Though I have some 4', 5's and 7's etc in the infamous loft, all ready for Eastercon. Well done on the acceptance. First of many hopefully. Thanks very much, Pete and Roy. I hope it will be the first of many! BS has been my favourite magazine of recent years, so to have one of my stories appearing is tremendously exciting and a little surreal. Another 500 g, thanks Ilan. #2 is still my favourite BS cover... apart from the splatter of #13. Just curious, but do readers prefer the more regular style (with same logo, etc) used today? I think both styles have their merits. I loved the original David Gentry issues - the whole Transmissions from Beyond theme really gave the magazine a bleak, almost apocalyptic look, but I like the way the image has evolved. It's more instantly recognisable now, and I can see that having that kind of brand image continuity for the magazine is a very good thing.